Did you miss After the School Bell Webinar: Collaborative Leadership in a Community School? Have no fear; we have the recording! Learn how to use collaborative leadership to create partnerships that address the needs of students, families, and the community with Nicholas Orem Middle School, principal, Michelle Monroe and Luis Antonio Ostolaza, community school coordinator. 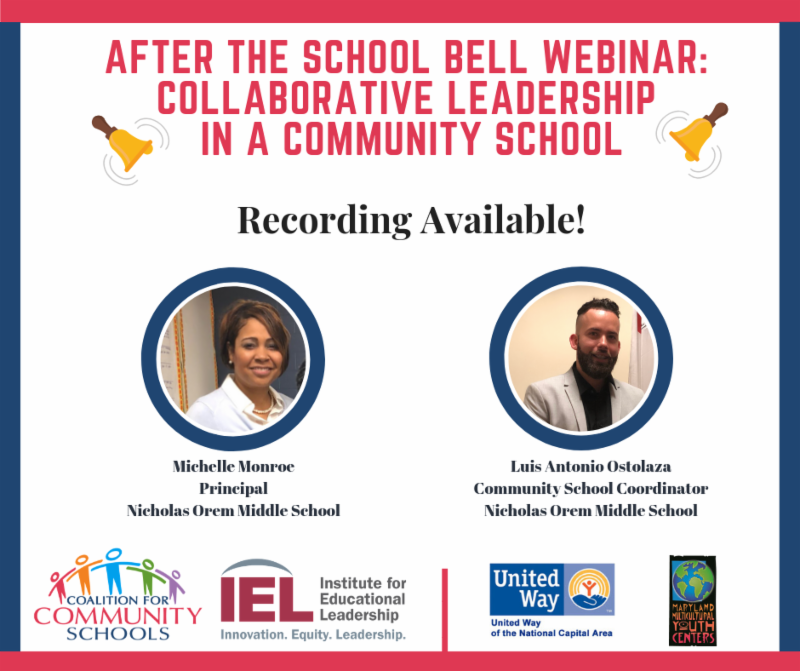 This weeks After the School Bell Webinar Series is brought to you by the Institute for Educational Leadership program Coalition for Community Schools, United Way of the National Capital Area (United Way NCA), andLatin American Youth Center.